Helpful information - good or bad - should always be available to everyone. We genuinely appreciate the feedback! 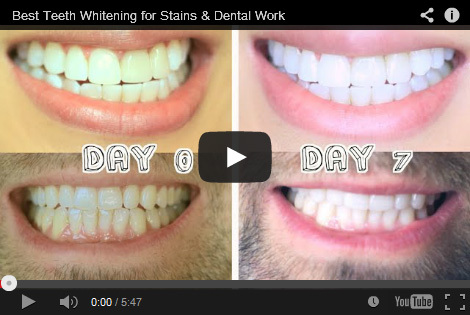 I’ve used whitening strips a lot but had trouble getting all of my teeth white. I learned about your product on Youtube. 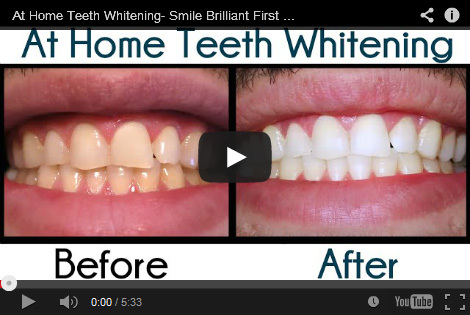 The video talked about whitening crooked teeth. I’m seriously amazed and the before and after pics I just sent you! I want to say Smile Brililant is AWESOME! I’m an avid brusher and flosser but I drink coffee every morning before work. I don’t think I realized how dark my teeth had gotten until I started using your custom-fitted trays. I have had many of my friends ask me specifically about my teeth. 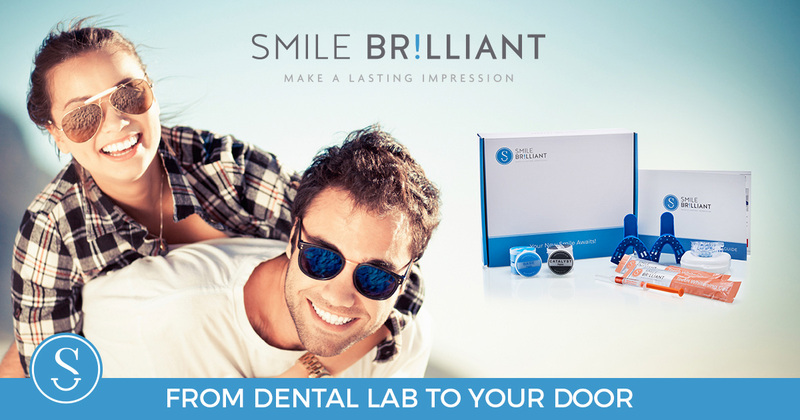 I’m happy to recommend Smile Brilliant to everyone I meet! 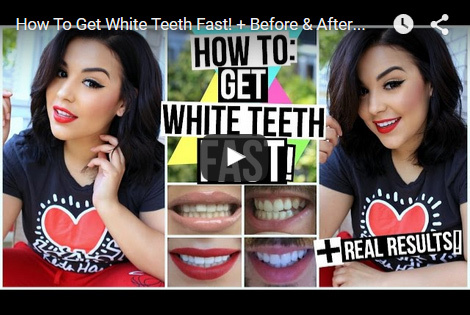 How To Get White Teeth Fast! I have an obsession with white teeth. I mean really I do. 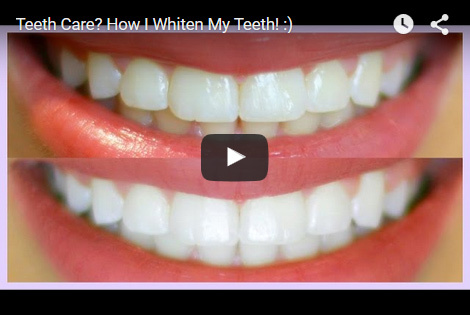 I've tried EVERYTHING on the market that claims to make your pearly whites, well white. But after going through every single thing from strips, to trays with the light, to 3 step tooth paste systems. I think I've found the holy grail. I have already noticed a huge difference which is fantastic! I shall be using it for a couple more days then I shall send better photos if that's ok? They fit great and actually are quite comfortable. I am very grateful that I took the time out to try this great product! Great results. Very happy my cousin recommended it to me. My wife bought me this teeth whitening kit. 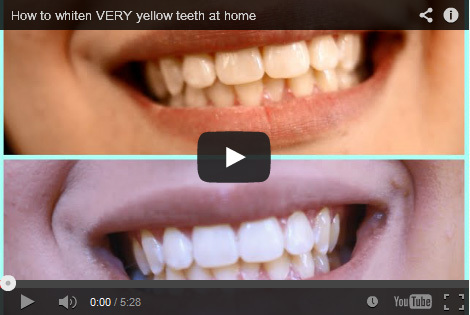 I think my teeth had become really yellow and have very dark stains around the edges. I smoked for 25+ years and quit a little over a year ago. 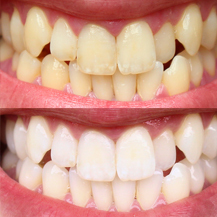 I saw immediate changes to my teeth and got the results you see after about 14 applications. I would definitely recommend to others. Smile Brilliant has amazing customer service. Smile Brilliant has amazing customer service. Any question I had, they were there to answer. 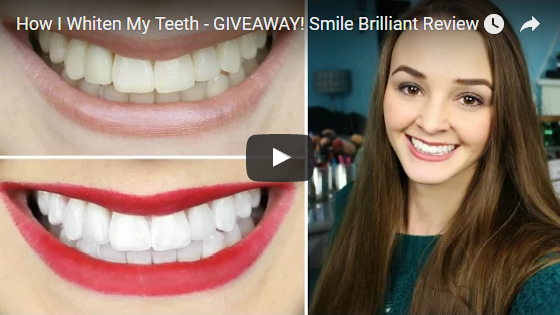 So, do I LOVE Smile Brilliant? Yes! The first thing I mentioned was my sensitive teeth. 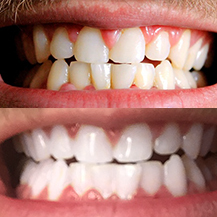 I’ve avoided whitening from the dentist in fear of never eating or drinking again. 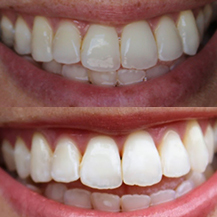 My wonderful Smile Brilliant representative, Jessica, understood my hesitation and explained the desensitizer. 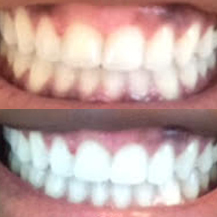 I was so excited to not only whiten my teeth, but not have to deal with increased sensitivity! 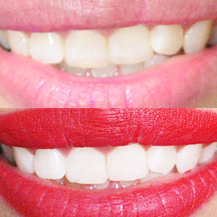 I got an amazing teeth whitening outcome without the dentist cost. The whole kit is amazing and their customer service is top notch. This is truly an amazing product! I have struggled for years to get my teeth white. Spending tons of money on kits that don't work and countless "white strips". 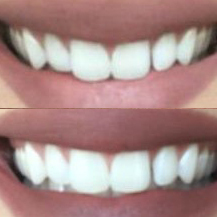 I finally found something that was able to whiten my teeth beautifully! 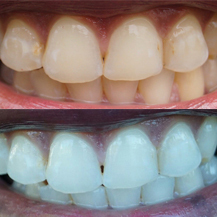 I got such amazing results and had zero sensitivity issues which can be common with teeth whitening products. Michael was so sweet and helpful and was such a pleasure to work with as well! I was referred to Smile Brilliant from my dentist. She does not do the custom-fitted whitening trays at her office so she sent me to you. The process was very simple. I take good care of my teeth and did not realize they were so stained. Very happy with results. I accidentally sent my package to my parents house and once I contacted customer service to get it fixed they replied in less than 30 mins! Super happy with everything! Simple quick and easy, exactly what I expected, Priced well bellow retail. My family drinks much tea. 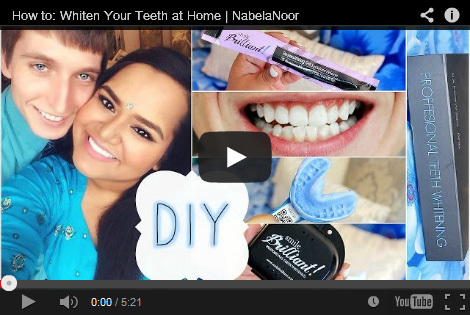 I was first to try whitening teeth when I saw your video. I did not make my impressions good on first try but second try was much better. You can see that my teeth have changed a lot. I am very very happy! I'm very happy that I have not had sensitivity! This was my biggest concern. Still waiting to see big changes. You can see a little change in my teeth so far. Están de vuelta con el color que quería...! Los trays son muy cómodos que no duelen y se ajustan perfectamente, apenas se pueden sentir. Puedo usarlos durante aproximadamente 2 horas sin ninguna molestia...No se hizo alteración alguna para las fotos – estos son mis resultados genuinos. 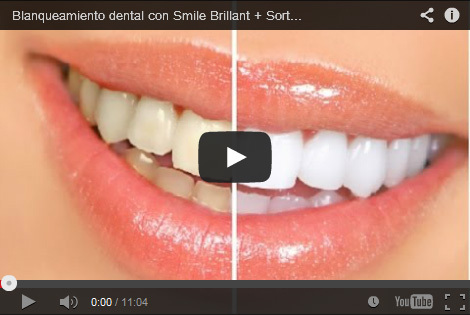 lo recomiendo a cualquiera que quiera hacer su sonrisa un poco más vibrante y brillante !! What An amazing product to have available right before my wedding day. 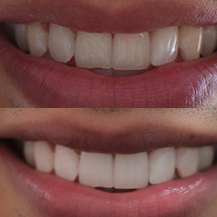 I'm very pleased with my teeth whitening product. It works very well. Preparing for the FIRST DAY OF SCHOOL! 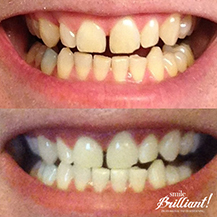 I wanted so much to have a brighter smile as some teeth stains bothered me and I gave a try to Smile Brilliant kit. I'm very happy to get my trays. Working well so far. Great service. I started my 1st and 2nd treatment on consecutive days for 3 hrs each time. I found that to be a little too sensitive for my gums, so I spread it out to around every 3rd day still at 3 hrs. That seemed to be a lot easier to handle. Session 4-7 were spread out about 4-5 days apart as I travel a lot and it just didn't seem to fit in my schedule. I think the color changed quite a bit. I will continue to use the product. I spent a few years and a lot of money to have my teeth straightened. When my braces came off, the color was very different. 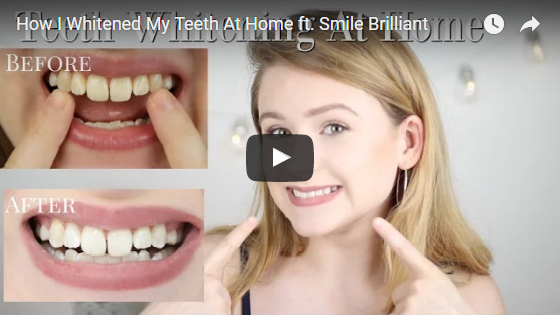 I went home, did a little research and came across your company and opted to give Smile Brilliant a try instead of my dentist. I’m extremely happy with my new smile. Extremely fast, very easy ordering, product already working! Have begun seeing great results. I'll continue my treatments. There was quite a bit of sensitivity on my last treatment but I has been quite easy thus far. 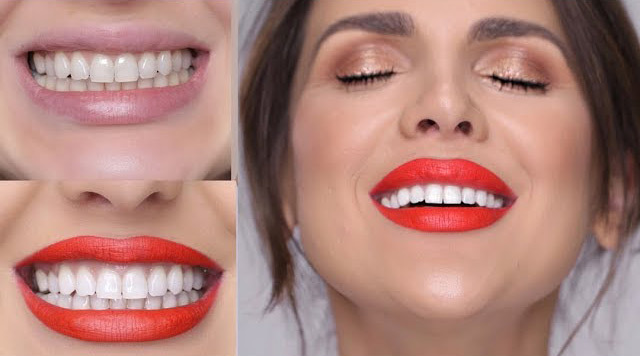 The pictures I sent show you how my teeth look with red lipstick. I think they looked great for the wedding! 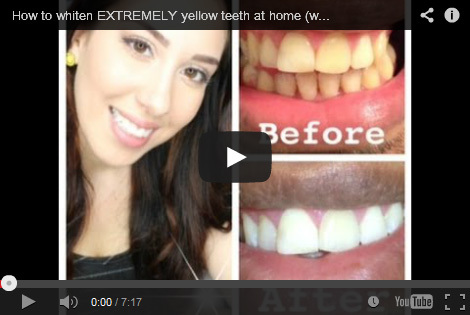 How To: WHITEN Yellowing Teeth At Home w. Professional Results! Great product with significant results. 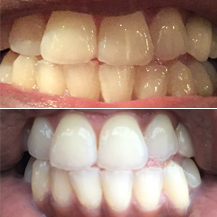 Took me about 5 sessions to see the results, but with monthly maintenance I have been able to keep my pearly whites looking white. The customer service was great and the package was sent and returned back fast. I am planning on purchasing again! I have only used this product twice, but so far I think it is making a difference! It came really fast and had some great instructions with it! I am planning on purchasing again! Very happy with purchase. The product came on time. I was so excited to use this product for an event coming up but they sent me both trays of my upper teeth! I'm so disappointed and will not have my trays ready in time. Next time, I hope Smile Brilliant pays more attention to what they're doing. 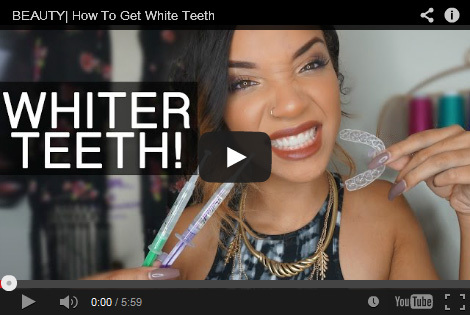 How I whiten my teeth! 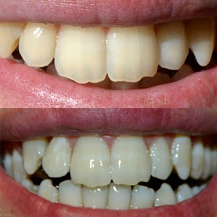 I had great results, very east to use and quick turnaround. Thank you for helping me! The trays are so comfortable and so easy to use. 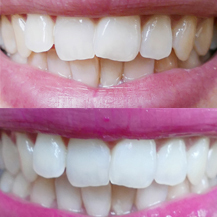 The whole process of whitening was painless! I really appreciate your awesome customer service! Thank you again! Affordable. Simple. Easy to use. After I finished my treatment, I can tell you that IT REALLY WORKS! My first concern when I started to test the product was: "It is all a waste of time, definitely it will not change anything." You know those super fake advertisement on television that make you see how Victoria's Secret only thanks to a pill? 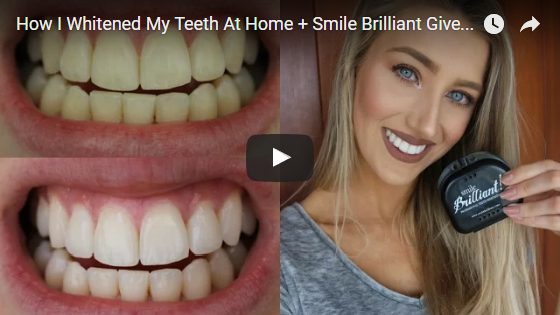 Well, I was afraid that Smile Brilliant was a flop like that and instead I'm happy to tell you that it's all true and it really works! 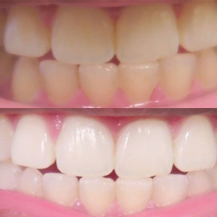 I had to do a lot of sessions to get my dark tooth to whiten but it worked! I did not notice that the website had a product for people with sensitive teeth. 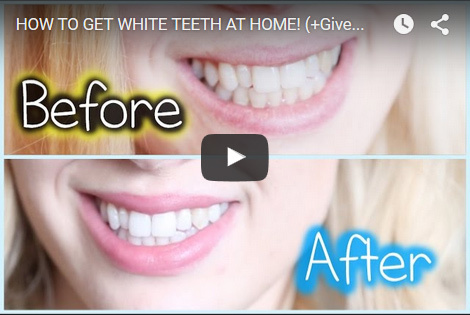 I bought the whitening package but my teeth became really sore. It wasn’t until I spoke with someone on the website chat that I learned about the desensitizing gel. I wish I would have known about it earlier. The pictures are after 6 sessions. It is surprisingly comfortable in the mouth. I will definitely be ordering more gel. I did 2, 3 hour treatments and I feel like my coffee stains are already going away. I hope these pictures are clear! The custom tray fit perfect. I experienced no sensitivity which was my biggest concern. I saw your ad on Facebook and wanted to try something other than the toothpastes. I have not used all the syringes yet but I can definitely see a change. J'ai pris les 2 photos avec le même éclairage et sans flash. Pour obtenir ce résultat, je n'ai utilisé qu'une seule seringue de gel de blanchiment, j'ai fait 5 applications tout les deux jours. J'en suis très satisfaite et je compte poursuivre le traitement vu qu'il me reste deux autres seringues. 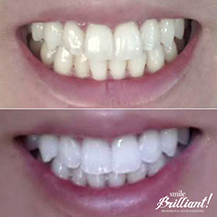 Smile Brilliant is simply AMAZING! I have extremely sensitive teeth and gums and had zero problems with this system. Furthermore, the customer service and staff is so friendly, eager to help and so easy to contact. 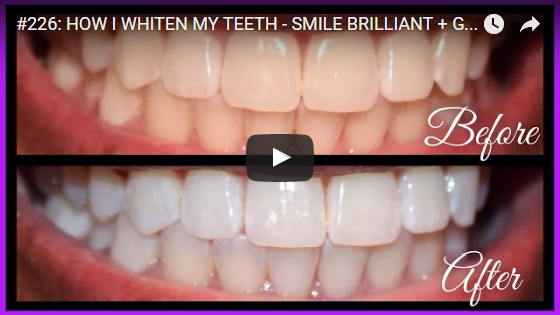 HIGHLY, highly recommend anyone that is looking for a whitening system to try Smile Brilliant! 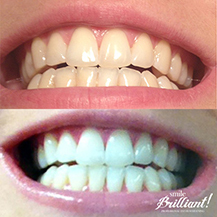 Smile Brilliant teeth whitening kit is truly an amazing product. 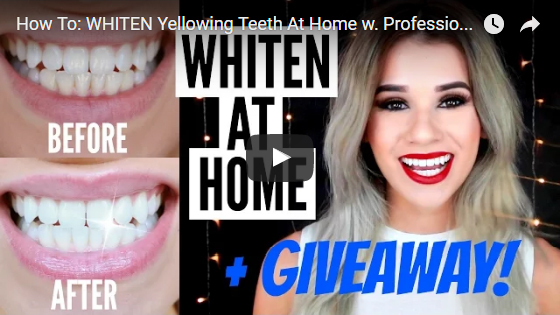 I had a bad experience with whitening my teeth in the past and I was nervous trying another teeth whitening product, Im glad I did because almost immediately after using this product I noticed a huge difference in the appearance of my teeth. I cannot recommend this teeth whitening product enough. Customer service were so friendly, informative and enthusiastic. Overall my experience was phenomenal. I would recommend these for home use for sure! 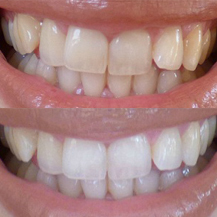 As a busy mother of 3, finding time to whiten my teeth gets pushed to almost last! 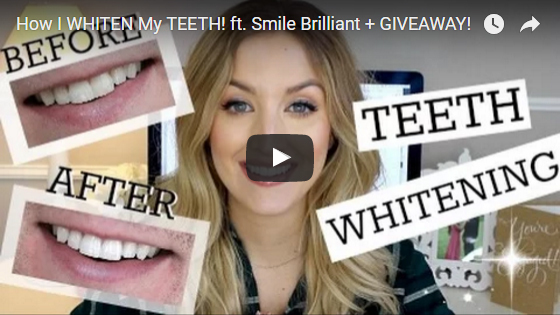 This kit is perfect for busy people on the go who need to fit whitening in last minute! I recommend the desensitizing gel if your teeth are sensitive like mine. It made a huge difference! 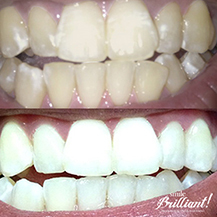 Smile Brilliant is a awesome product for teeth whitening. 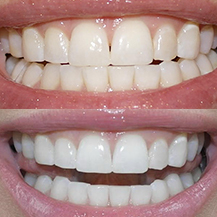 It is very easy to use and cost much less than professional teeth whitening. 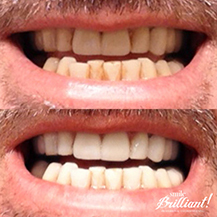 My friend loves coffee and after drinking countless cups of the Go Juice his teeth took a slight yellowish hue. 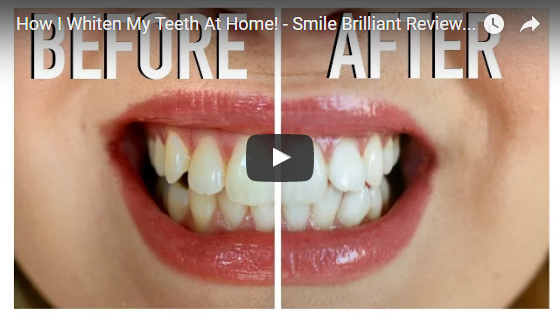 After using Smile Brilliant I could see the difference. Although it had whitened his teeth, it had made his teeth more sensitive than usual. 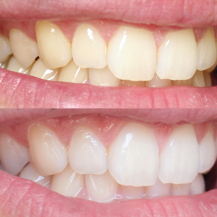 Smile Brilliant required us to send impressions of our teeth to them and they only sent me back my upper teeth. I now have to wait for them to send me more impression material and start the whole process over again which will take an extra 2 weeks. I bought it back in November to have it ready by an event I have in December. Now, I will not be able to use this product I paid for until after my event. Package came on time, with an extra set of catalyst and base paste in case you make a mistake in the teeth impression. 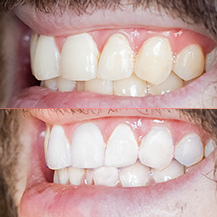 I did need to use the extra set for my upper teeth impression because the first set of my impression was not long enough to cover all of my teeth, and the extra set did work out. I loved my experience with your company. 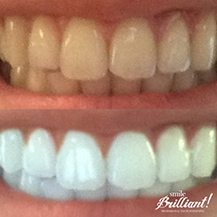 It was an easy painless process and I loved being able to whiten my teeth without hurting them due to sensitivity! I love coffee and wine. Toothpaste isn't enough sometimes. I love coffee and wine, so I try to take care of my teeth as best as I can, but even using whitening toothpaste isn't enough sometimes. 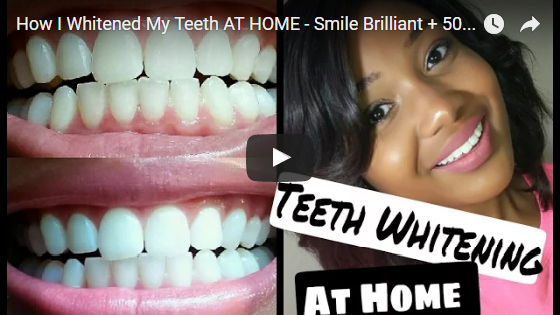 I've used teeth whitening kits in the past, but they always left my teeth feeling extremely sensitive. 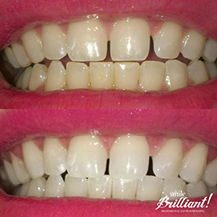 When using Smile Brilliant, I didn't experience any sensitivity and saw a noticeable difference in how bright my teeth looked. 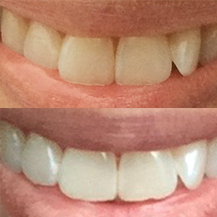 It brought my teeth back to their natural white state and I couldn't be happier with the results! I love how quickly the product has worked for me thus far. Only used it twice and saw a difference. A little pricey but the product goes along way and works really well. started using the product on Saturday and I am seeing excellent results! I placed my order Thursday morning and the starter kit arrived Friday afternoon! I sent the trays back in for processing on Monday and the finished trays were back to my by Friday! I started using the product on Saturday and I am seeing excellent results! If you're thinking about teeth whitening, I would highly recommend this company and product! arrived quickly, and, actually works!! I would do business with them a thousand more time if I could. 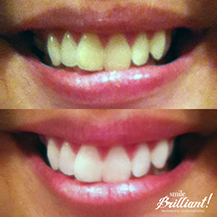 I ordered SmileBrillant for a teeth whitening kit and it arrived in two days. Not only that, but I ran out of material to make a impression, so I got ahold of customer service to ask them to send me more. It took them about two days to respond, but they were extremely helpful and very nice. I would do business with them a thousand more time if I could. Very pleased with purchase.....could not have been better. Excellent company.....have purchased from them before. Thank you. I was so impressed by their customer service! I ordered one package but to my surprise, three arrived. But when I called and talked with Danyell at Customer Assistance Dept, she was so helpful and friendly. They even sent me a return package so I didn't have to pay for return. They also let me get an extra set of tray material because I messed up the first time. 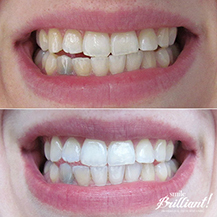 Overall, I had an incredibly pleasant experience shopping at Smile Brilliant. 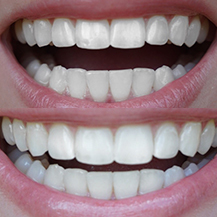 Now, I'm waiting for my trays to arrive so I can start whitening my teeth! Thanks. The pudy process was easy to make and send back. My package came on time. The pudy process was easy to make and send back. I received the confirmation email just 3 days after sending the pudy back to the lab. The mail service lost my package despite recording it as "delivered". When I contacted SmileBrilliant customer service they sent me my package ASAP and I received it in two days with no extra charge. I am very pleased with the service I received. I had to drive 7 miles to the post office and pay an additional $2.06 postage to get my package because they shorted the postage due for that size/weight package. Otherwise, it's too early to say if the product does what they say it does. I saw a change in my teeth the very first night! I was so extremely pleased with how fast all of the shipping was. 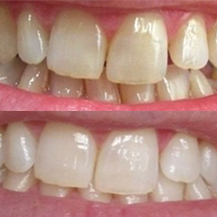 Once I started whitening I saw a change in my teeth the very first night! 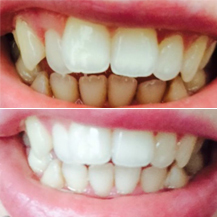 The trays are the best trays I have ever used for whitening because they are fitted to my teeth and don't slide around and I don't have to bite down to keep them in place. 10/10 love this company!! Love the simplicity of the process. Accuracy of molds was on par with professional grade from dentist. And the results are amazing! 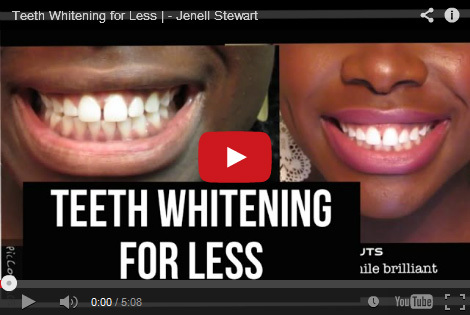 I've tried so many whitening products in the past that did not work. This is a great product that worked so well for me! 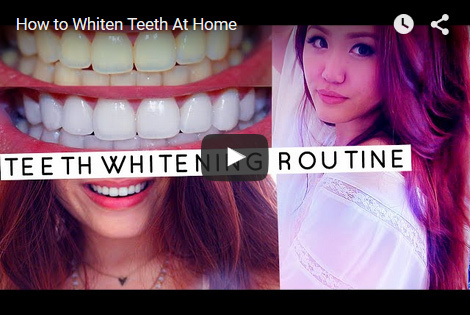 I've tried so many whitening products in the past that did not work. 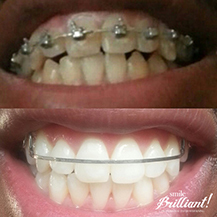 Smile Brilliant gave me such good results in a short period of time. 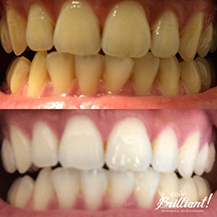 The whole process was so simple and I recommend Smile Brilliant to anyone who is looking to whiten their teeth with a safe product that works.